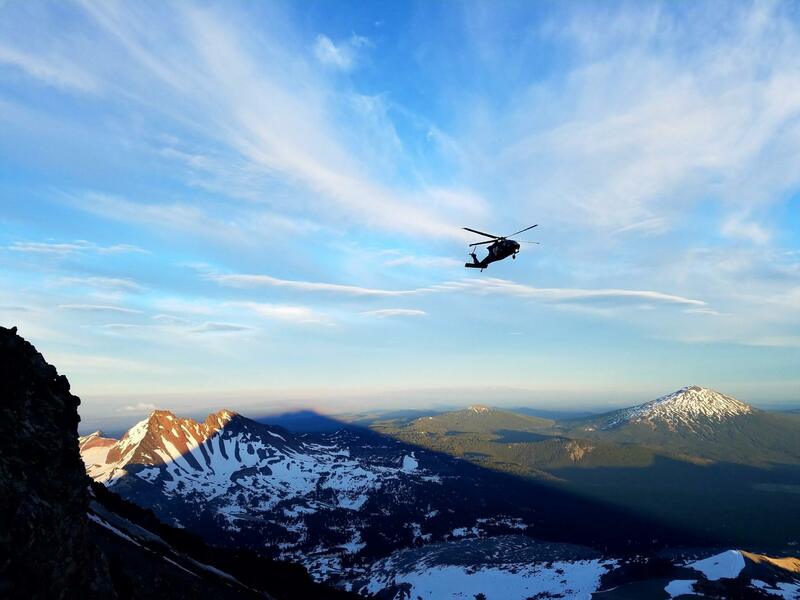 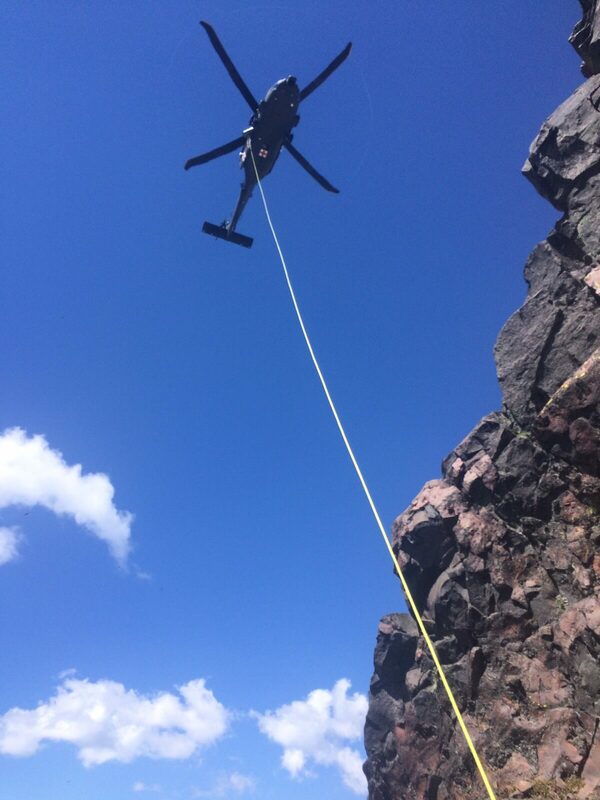 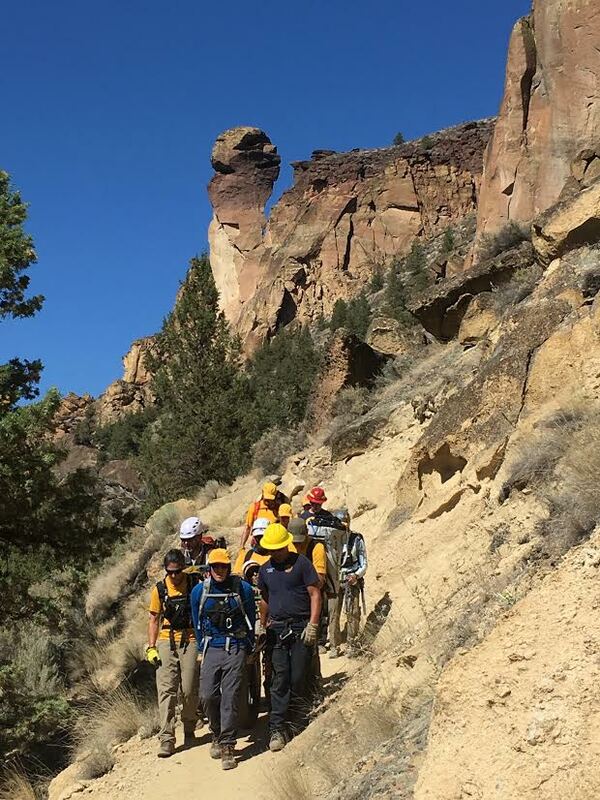 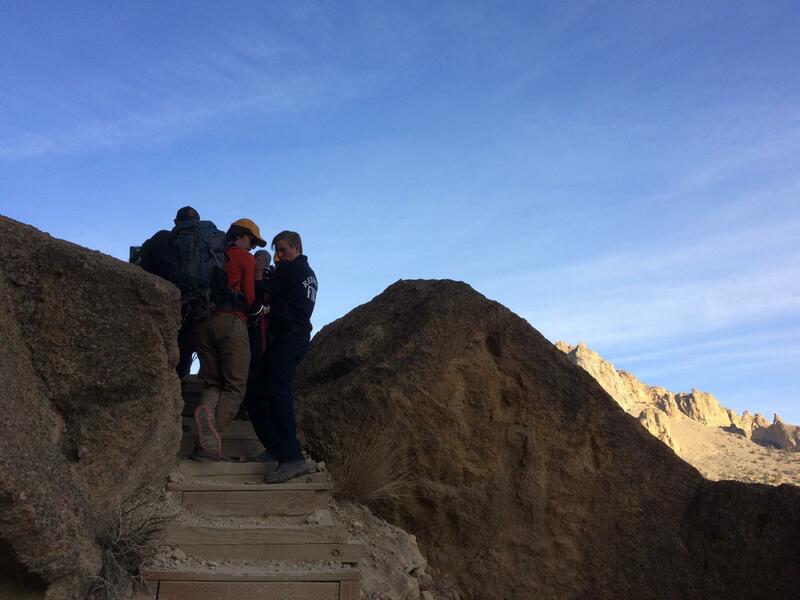 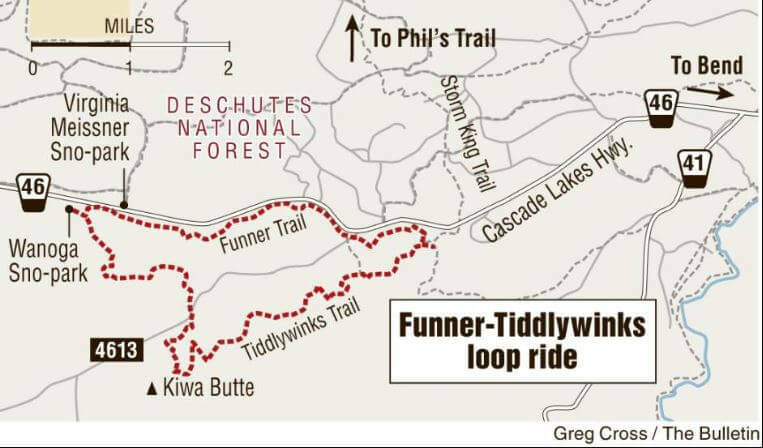 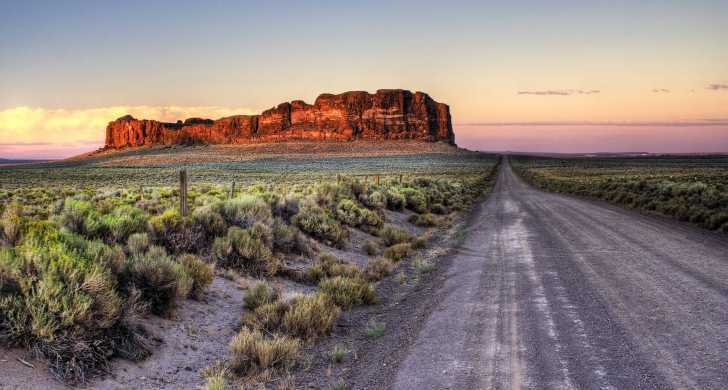 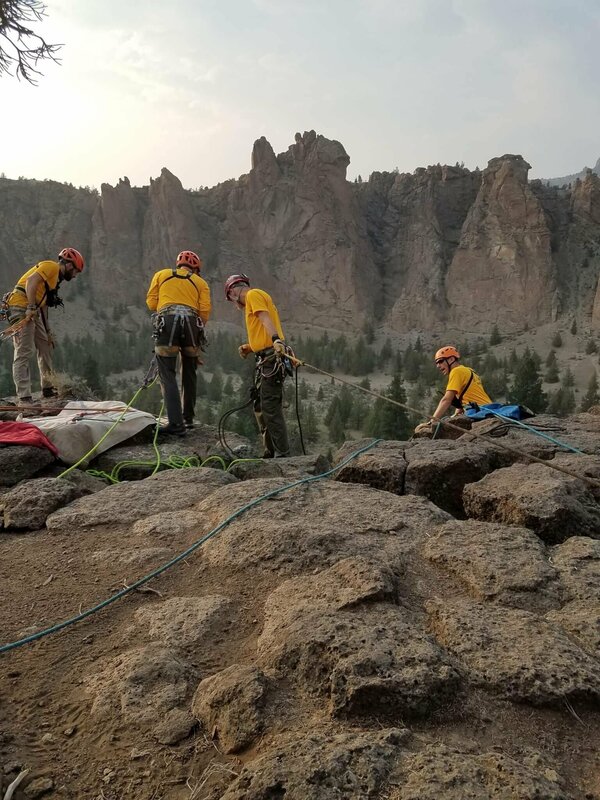 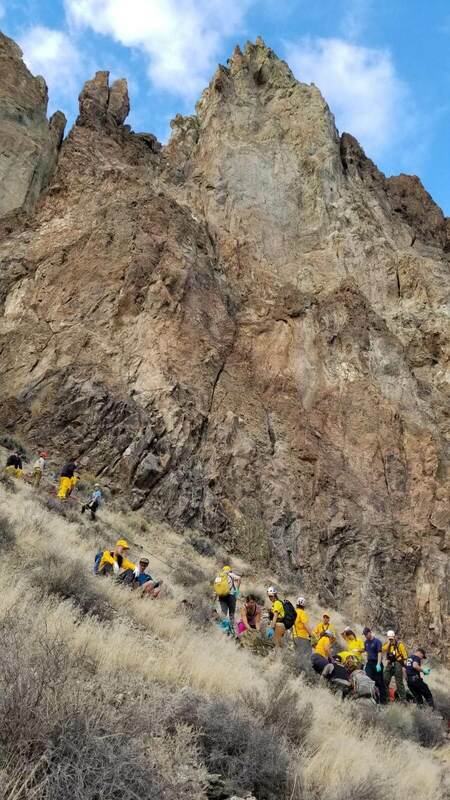 On 7/25/28 at about 1:00 PM, Deschutes County dispatch received 911 calls from multiple subjects at Smith Rock State Park regarding a climber, later identified as Shawn Snyder, that had been struck in the head by a rock while climbing near Monkey Face. 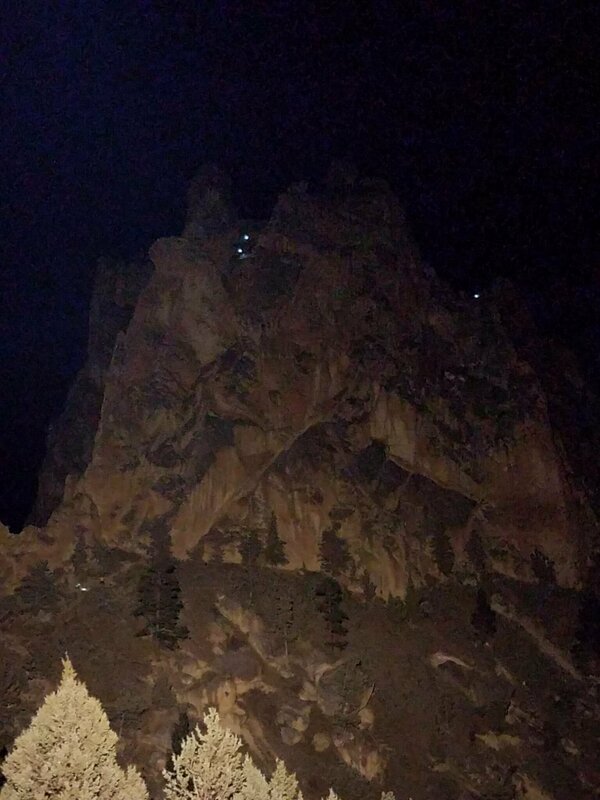 The rock was reported to be “plate sized” and “about 2-3 inches thick”. 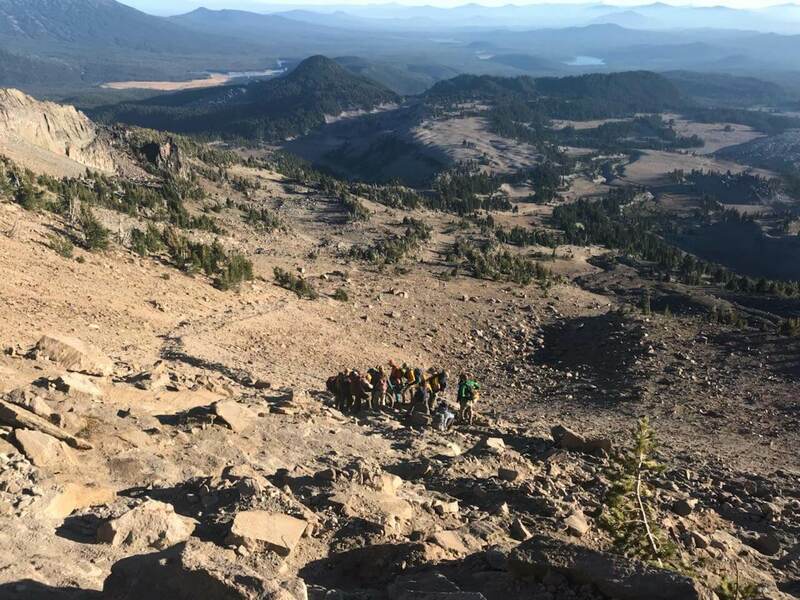 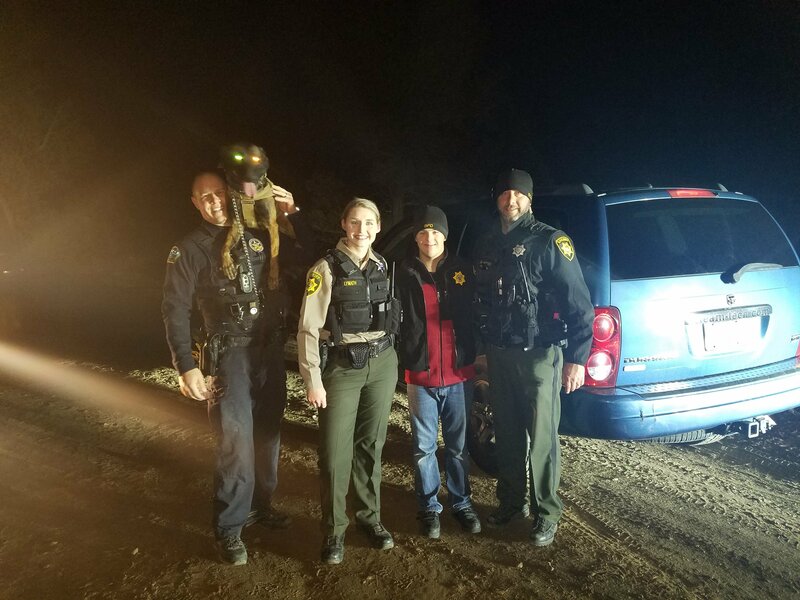 12 Deschutes County Sheriff’s Office Search and Rescue volunteers and one DCSO Deputy responded to the scene to assist. 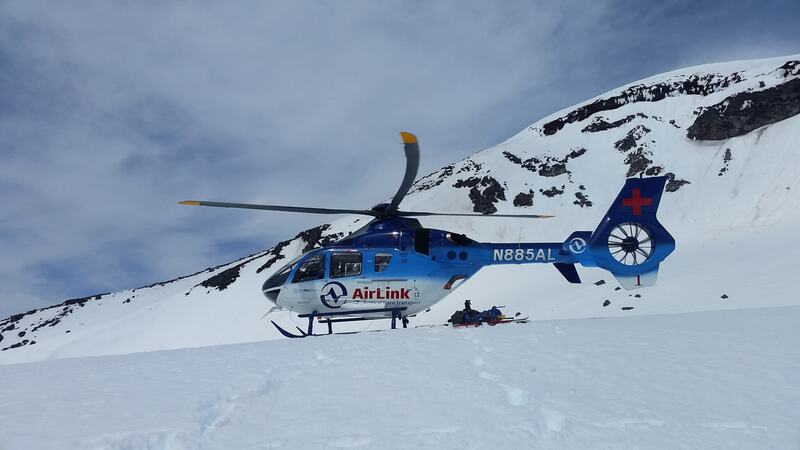 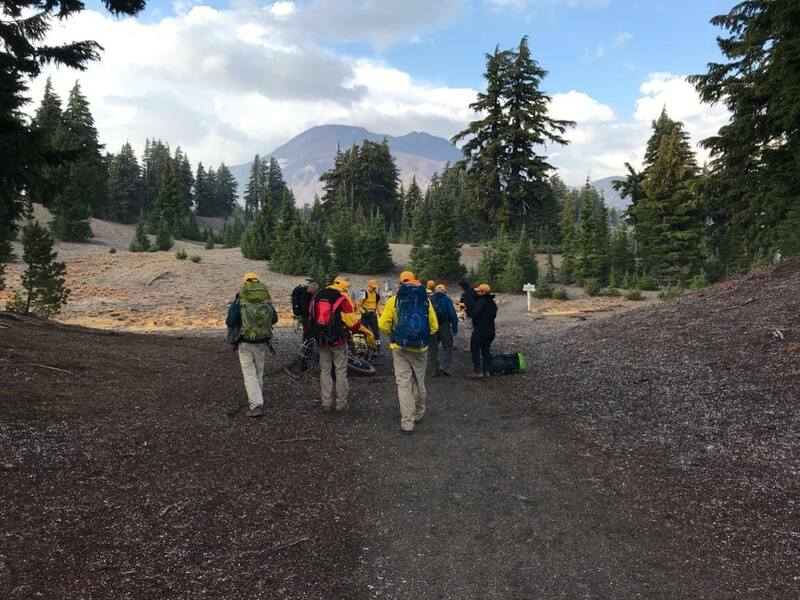 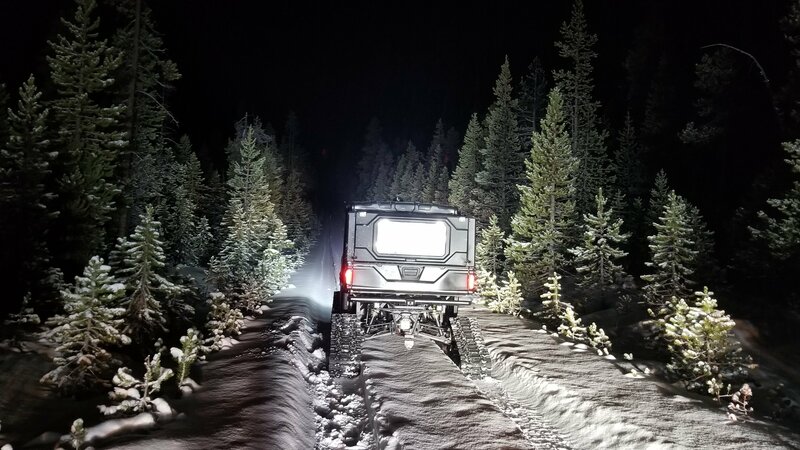 Due to the nature of the incident, Redmond Fire units were also dispatched to the call and were the first to make contact with Snyder, providing him care until DCSO SAR units could arrive on scene. 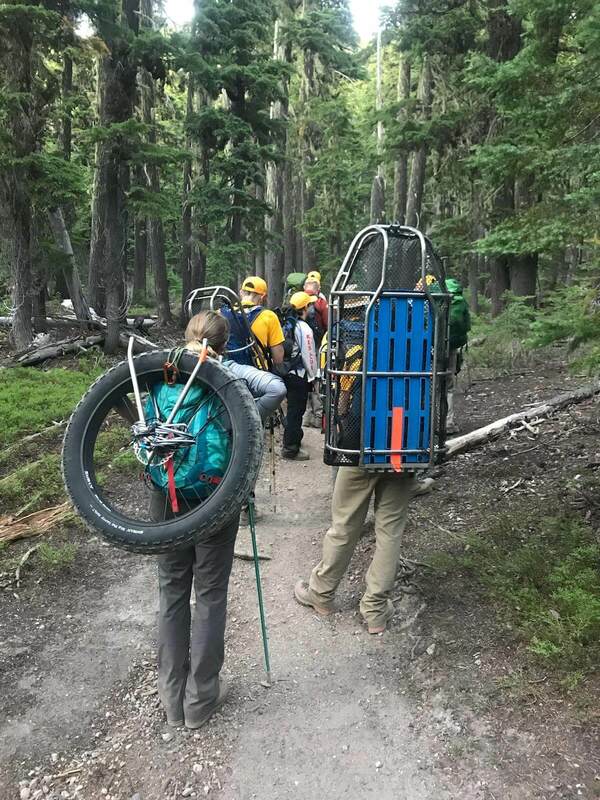 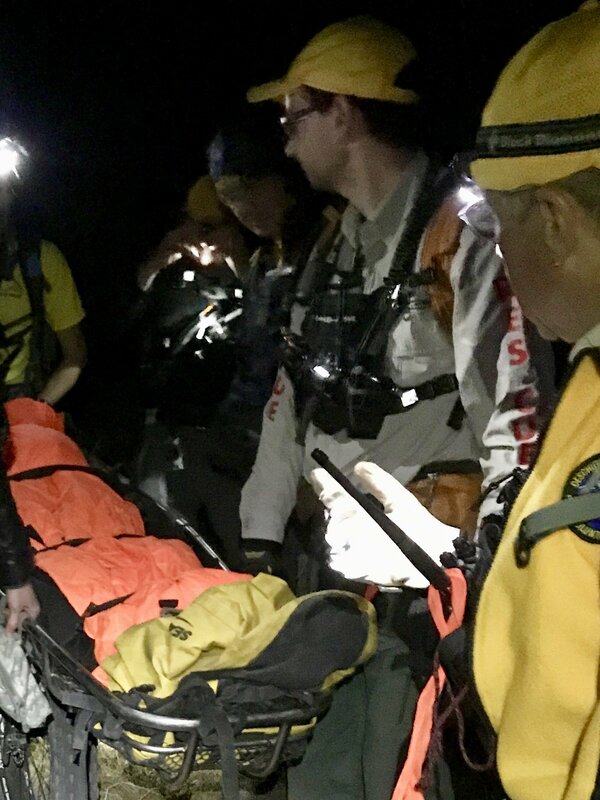 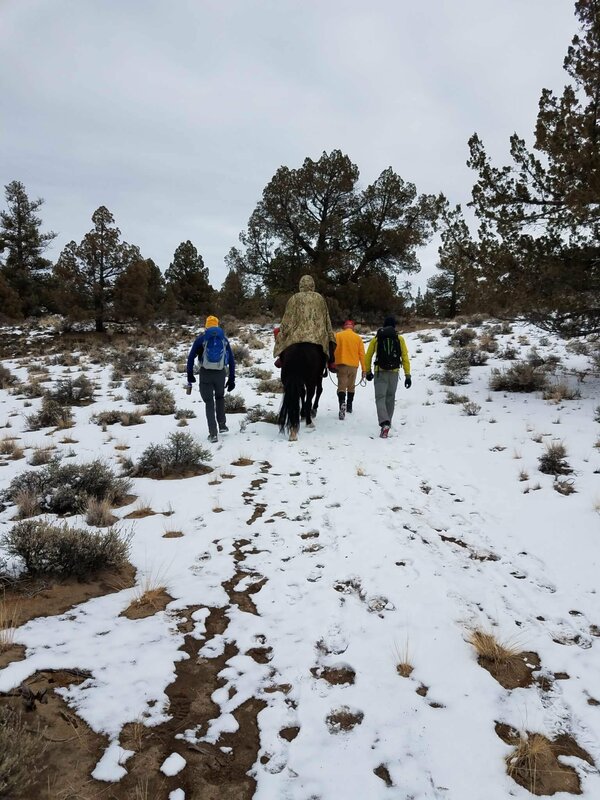 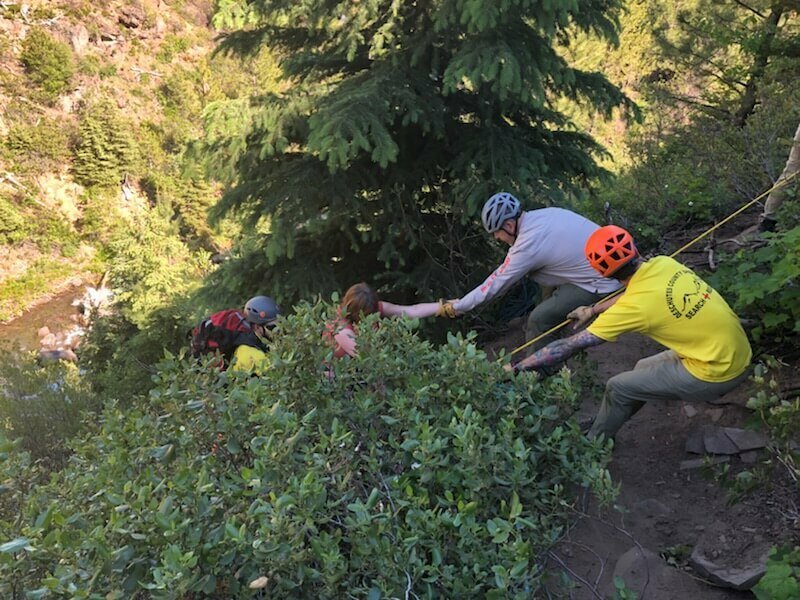 With the assistance of Redmond Fire, SAR units conducted a steep angle litter rescue down the hillside south of Monkey Face and then transported Snyder down the Mesa Verda trail in a wheeled litter. 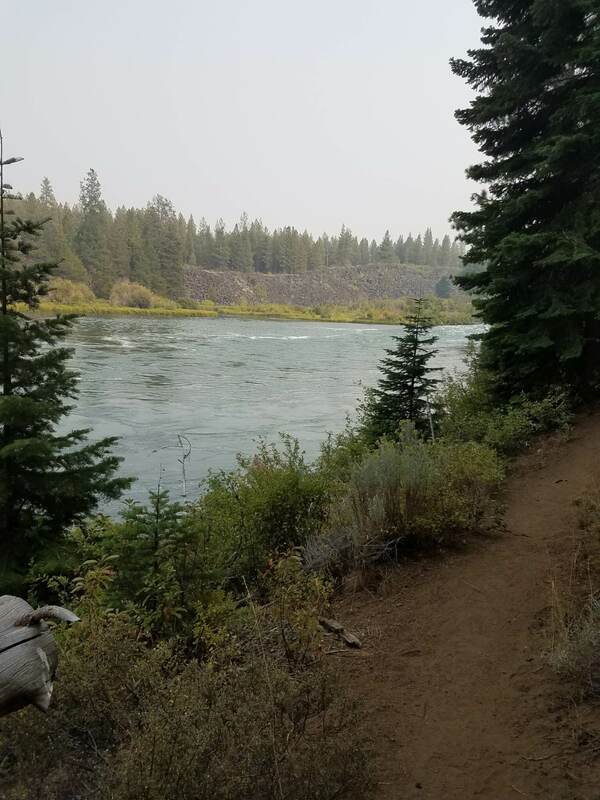 Snyder was then ferried across the Crooked River in a raft and transported in a ground ambulance by Redmond Fire to Redmond St. Charles with non-life threatening injuries. 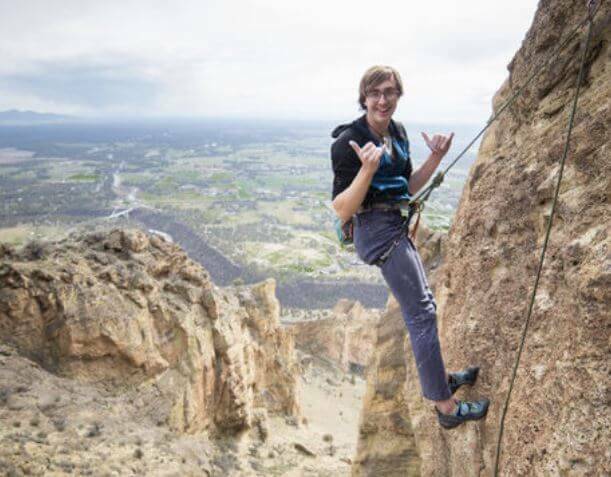 It was later reported that Snyder and a friend had been climbing near Monkey Face and were attempting to create a new climbing route. 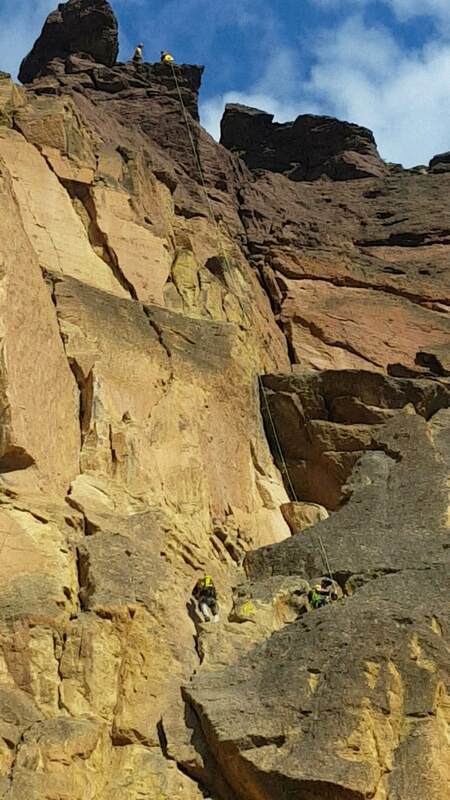 During this process one of their climbing ropes reportedly caught a rock, causing the rock to break loose and fall on Snyder’s head. 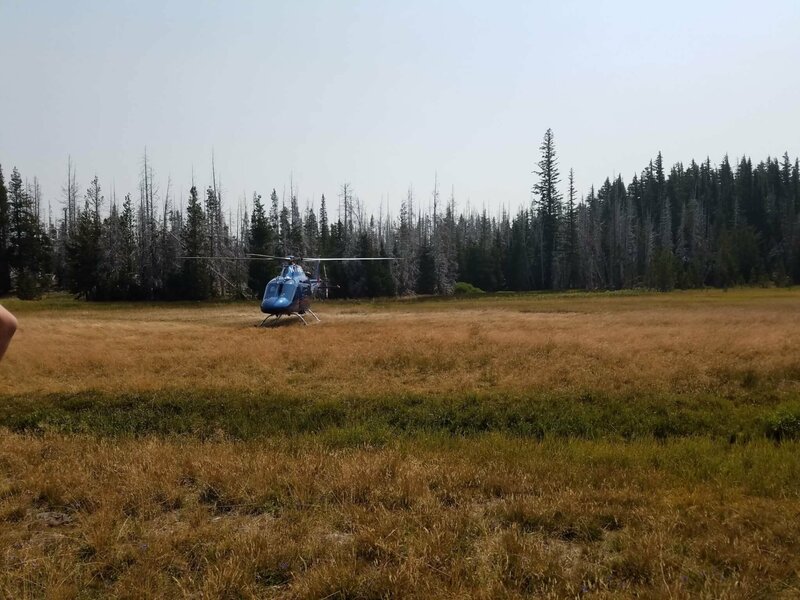 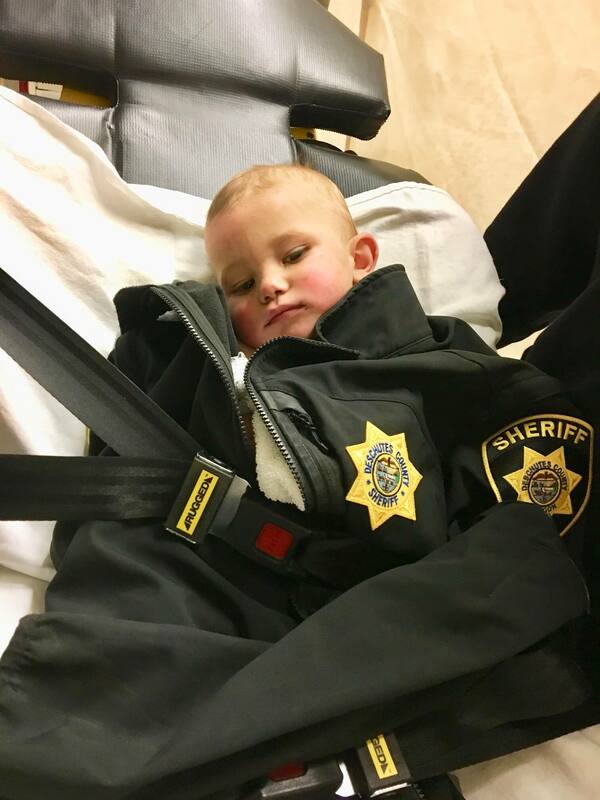 The Deschutes County Sheriff’s Office would like to thank the Redmond Fire Department for their assistance during this incident.